Facebook was able to maintain steady growth in both its revenue and active user count, the company announced in its first quarter 2013 results today. Revenue hit $1,458 million (UK£937 million, AU$1,417 million) in the first three months of the year, and its daily active users increased by 26 percent with an average of 665 million logged in. The social network's monthly active user count saw a similar increase, with 23 percent growth year-over-year, amounting to an average 1.11 billion users in the first quarter of 2013. More importantly, Facebook's mobile active user count reached 751 million as of March 31, a significant increase of 54 percent over the same quarter last year. "We've made a lot of progress in the first few months of the year," said Facebook founder and CEO Mark Zuckerberg in a press release. "We have seen strong growth and engagement across our community and launched several exciting products." Two of those exciting Facebook products seeing their first quarter earnings call debut are the recently launched Facebook Home app overlay. "One of the products I'm most excited about is Facebook Home," said Zuckerberg during the company's investor earnings call. He said Home is an early yet completely new experience. "It's only available on a few phones." The company's CEO promised that Home, which is currently built on top of Google's Android mobile OS, will come to more devices, noting the emergence of the site's mobile strategy. He didn't elaborate on whether Facebook Home would ever make its way to Apple devices like the iPhone 5, or if a follow-up to the HTC First with a better camera is in development. Zuckerberg did highlight last year's big acquisition, Instagram, which Facebook bought for $1 billion. The popular photo-sharing website reached 100 million monthly active users in the first quarter of 2013. "[Instagram] is really growing quickly," he said. "They're growing a lot faster now and were faster to get to 100 million [users] than ever was Facebook." That being said, Zuckerberg sees user growth, not ads, as the immediate goal of the Instagram team. "That is the right focus for them. They have this opportunity to capture and build off this huge community, and that should be 100 percent of the focus right now." "I am really optimistic about the business opportunity there, too," he said, looking forward, noting that Facebook advertisers are putting content in Instagram and getting huge engagement rates. "They're coming to us and asking for ways to make that even richer." While Facebook was able to purchase breakout mobile app Instagram, it can't buy every single new social media network out there. This has given Facebook investors pause over its ability to maintain a youthful audience in a world where Twitter continues to surge and new start-ups like Snapchat are able to capture a younger demographic. Facebook CFO David Ebersman, however, called it a myth that the under-21 audience is clicking off of Facebook in droves. "It's not a zero sum game," he said over the investor line, echoing a notable line Zuckerberg once delivered about how his company fits into the competitive social landscape. Ebersman explained that most of this information about Facebook losing that audience is based on surveys. More often than not, this is sample data meant for advertisers. Zuckerberg admitted that former Facebook games heavyweight Zynga "hasn't been as awesome as everyone would hope." "With the exception of our largest partner, Zynga, who's growth hasn't been as awesome as everyone would hope, the rest of the community is actually growing quite well and is quite healthy." Facebook saw its largest three-month quarter of games revenue to date, despite Zynga's 37 year-over-year decline, all thanks to other developers picking up the slack with a 60 percent payment volume increase. In addition to having a record number of people playing games on the Facebook platform, game apps that are tied to the social networking site are dominating in terms of performance. "We're up to 81 of the top 100 grossing iOS apps," said Zuckerberg. "And 70 of the top-grossing Android apps are connecting to Facebook." "The app install ad product has been another tool in developers' arsenal, and that's showing some real traction. I'm pretty excited about that as well." 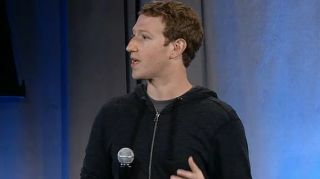 Zuckerberg also touched on the recent Facebook newsfeed redesign and Graph Search launches. "The content in there is much more visual," he said, noting newsfeed-based ads have followed suit in terms of presentation, calling them more engaging and "natural." Another "natural" progression for Facebook's advertising growth may come from new formats. "Video is a really exciting area," said Facebook COO Sheryl Sandberg during the investor call. "We have a video product out today. We're seeing really strong results." On the topic of Graph Search, Zuckerberg said that the enhanced social search feature will roll out to Facebook's full audience over the next couple of months. "We gated who could use it quite aggressively," he said of Facebook's long-time strategy. "The real roll out will hopefully happen really soon."